When CrossAcres Met Victoria Square and screen printing on full swing! 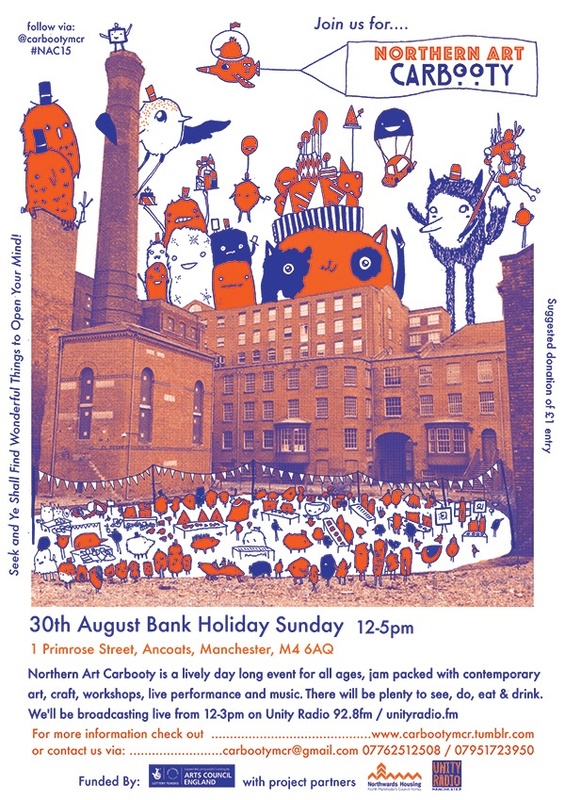 Carbooty designer Tasha Whittle has been at it again with this superb new flyer design for Northern Art Carbooty 2015. Bringing the wonderful world of her hybrid animals, NAC stall and artistic goodies and the rich industrial past of Ancoats together, we are loving this new design!